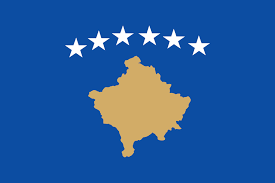 90+4' Second Half ends, Kosovo 1, Bulgaria 1. 90+3' Foul by Hekuran Kryeziu (Kosovo). 90+3' Martin Minchev (Bulgaria) wins a free kick on the right wing. 90+2' Besar Halimi (Kosovo) is shown the yellow card. 90+2' Hand ball by Arbër Zeneli (Kosovo). 90+1' Attempt missed. Edon Zhegrova (Kosovo) left footed shot from outside the box is high and wide to the left. 90' Attempt saved. Milot Rashica (Kosovo) right footed shot from the centre of the box is saved in the top left corner. Assisted by Besar Halimi. 89' Edon Zhegrova (Kosovo) wins a free kick on the right wing. 89' Foul by Anton Nedyalkov (Bulgaria). 88' Fidan Aliti (Kosovo) wins a free kick in the defensive half. 88' Foul by Ivelin Popov (Bulgaria). 87' Attempt missed. Arbër Zeneli (Kosovo) right footed shot from outside the box is close, but misses to the left from a direct free kick. 86' Valentin Antov (Bulgaria) is shown the yellow card for a bad foul. 85' Besar Halimi (Kosovo) wins a free kick in the attacking half. 85' Foul by Valentin Antov (Bulgaria). 85' Vedat Muriqi (Kosovo) wins a free kick on the left wing. 85' Foul by Nikolay Bodurov (Bulgaria). 84' Attempt missed. Milot Rashica (Kosovo) right footed shot from outside the box misses to the left. 82' Edon Zhegrova (Kosovo) wins a free kick on the right wing. 82' Foul by Anton Nedyalkov (Bulgaria). 81' Corner, Kosovo. Conceded by Anton Nedyalkov. 80' Substitution, Bulgaria. Valentin Antov replaces Georgi Kostadinov. 78' Substitution, Kosovo. Leart Paqarada replaces Benjamin Kololli. 78' Offside, Kosovo. Edon Zhegrova tries a through ball, but Vedat Muriqi is caught offside. 76' Substitution, Bulgaria. Martin Minchev replaces Kristiyan Malinov. 75' Offside, Kosovo. Hekuran Kryeziu tries a through ball, but Benjamin Kololli is caught offside. 72' Foul by Amir Rrahmani (Kosovo). 72' Ivelin Popov (Bulgaria) wins a free kick in the defensive half. 71' Hekuran Kryeziu (Kosovo) is shown the yellow card. 71' Foul by Hekuran Kryeziu (Kosovo). 71' Ivelin Popov (Bulgaria) wins a free kick on the right wing. 68' Substitution, Bulgaria. Petar Zanev replaces Spas Delev. 66' Besar Halimi (Kosovo) wins a free kick in the attacking half. 66' Foul by Georgi Kostadinov (Bulgaria). 64' Offside, Kosovo. Benjamin Kololli tries a through ball, but Milot Rashica is caught offside. 62' Foul by Besar Halimi (Kosovo). 62' Simeon Slavchev (Bulgaria) wins a free kick in the defensive half. 61' Goal! Kosovo 1, Bulgaria 1. Arbër Zeneli (Kosovo) right footed shot from outside the box to the bottom right corner. Assisted by Fidan Aliti. 59' Offside, Bulgaria. Spas Delev tries a through ball, but Strahil Popov is caught offside. 59' Substitution, Kosovo. Edon Zhegrova replaces Herolind Shala. 58' Substitution, Kosovo. Besar Halimi replaces Bersant Celina. 58' Attempt missed. Amir Rrahmani (Kosovo) header from the centre of the box is high and wide to the left. Assisted by Arbër Zeneli with a cross following a corner. 57' Corner, Kosovo. Conceded by Anton Nedyalkov. 55' Corner, Kosovo. Conceded by Anton Nedyalkov. 55' Attempt blocked. Mergim Vojvoda (Kosovo) right footed shot from a difficult angle on the right is blocked. 55' Vedat Muriqi (Kosovo) hits the right post with a left footed shot from the left side of the box. 54' Foul by Fidan Aliti (Kosovo). 54' Ivelin Popov (Bulgaria) wins a free kick on the right wing. 53' Strahil Popov (Bulgaria) is shown the yellow card for a bad foul. 53' Arbër Zeneli (Kosovo) wins a free kick in the defensive half. 53' Foul by Strahil Popov (Bulgaria). 52' Corner, Bulgaria. Conceded by Fidan Aliti. 52' Attempt blocked. Kristiyan Malinov (Bulgaria) right footed shot from the right side of the box is blocked. 52' Attempt blocked. Ivelin Popov (Bulgaria) right footed shot from the centre of the box is blocked. Assisted by Todor Nedelev. 50' Foul by Mergim Vojvoda (Kosovo). 50' Todor Nedelev (Bulgaria) wins a free kick in the defensive half. 50' Corner, Kosovo. Conceded by Nikolay Bodurov. 48' Corner, Kosovo. Conceded by Nikolay Bodurov. 46' Arbër Zeneli (Kosovo) wins a free kick in the defensive half. 46' Foul by Strahil Popov (Bulgaria). 46' Foul by Vedat Muriqi (Kosovo). 46' Strahil Popov (Bulgaria) wins a free kick in the defensive half. 45+3' First Half ends, Kosovo 0, Bulgaria 1. 45+1' Attempt saved. Mergim Vojvoda (Kosovo) header from the centre of the box is saved in the bottom left corner. Assisted by Vedat Muriqi with a headed pass. 45+1' Corner, Kosovo. Conceded by Georgi Kostadinov. 45' Arbër Zeneli (Kosovo) wins a free kick on the left wing. 45' Foul by Strahil Popov (Bulgaria). 44' Attempt saved. Milot Rashica (Kosovo) right footed shot from the centre of the box is saved in the top left corner. Assisted by Arbër Zeneli. 42' Offside, Bulgaria. Strahil Popov tries a through ball, but Simeon Slavchev is caught offside. 41' Ivelin Popov (Bulgaria) is shown the yellow card for a bad foul. 41' Amir Rrahmani (Kosovo) wins a free kick on the right wing. 41' Foul by Ivelin Popov (Bulgaria). 39' Goal! Kosovo 0, Bulgaria 1. Vasil Bozhikov (Bulgaria) header from the centre of the box to the bottom right corner. Assisted by Todor Nedelev with a cross following a corner. 38' Corner, Bulgaria. Conceded by Milot Rashica. 38' Corner, Bulgaria. Conceded by Hekuran Kryeziu. 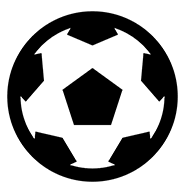 37' Foul by Arbër Zeneli (Kosovo). 37' Georgi Kostadinov (Bulgaria) wins a free kick in the attacking half. 36' Delay in match (Bulgaria). 36' Simeon Slavchev (Bulgaria) is shown the yellow card for a bad foul. 35' Attempt saved. Bersant Celina (Kosovo) right footed shot from outside the box is saved in the top left corner. Assisted by Arbër Zeneli. 33' Offside, Kosovo. Herolind Shala tries a through ball, but Mergim Vojvoda is caught offside. 31' Foul by Fidan Aliti (Kosovo). 31' Georgi Kostadinov (Bulgaria) wins a free kick in the defensive half. 30' Hand ball by Spas Delev (Bulgaria). 27' Offside, Bulgaria. Nikolay Mihaylov tries a through ball, but Ivelin Popov is caught offside. 26' Foul by Fidan Aliti (Kosovo). 26' Kristiyan Malinov (Bulgaria) wins a free kick in the attacking half. 23' Milot Rashica (Kosovo) wins a free kick in the defensive half. 23' Foul by Anton Nedyalkov (Bulgaria). 22' Fidan Aliti (Kosovo) wins a free kick in the defensive half. 22' Foul by Ivelin Popov (Bulgaria). 22' Foul by Arbër Zeneli (Kosovo). 22' Georgi Kostadinov (Bulgaria) wins a free kick in the defensive half. 21' Foul by Vedat Muriqi (Kosovo). 21' Spas Delev (Bulgaria) wins a free kick in the defensive half. 19' Mergim Vojvoda (Kosovo) is shown the yellow card. 19' Anton Nedyalkov (Bulgaria) is shown the yellow card. 18' Foul by Mergim Vojvoda (Kosovo). 18' Spas Delev (Bulgaria) wins a free kick in the defensive half. 16' Delay in match Kristiyan Malinov (Bulgaria) because of an injury. 16' Foul by Hekuran Kryeziu (Kosovo). 16' Kristiyan Malinov (Bulgaria) wins a free kick in the defensive half. 15' Herolind Shala (Kosovo) wins a free kick in the defensive half. 15' Foul by Kristiyan Malinov (Bulgaria). 9' Corner, Kosovo. Conceded by Anton Nedyalkov. 9' Attempt blocked. Milot Rashica (Kosovo) left footed shot from a difficult angle on the left is blocked. Assisted by Bersant Celina with a through ball. 5' Foul by Benjamin Kololli (Kosovo). 5' Georgi Kostadinov (Bulgaria) wins a free kick in the defensive half. 3' Foul by Hekuran Kryeziu (Kosovo). 3' Ivelin Popov (Bulgaria) wins a free kick in the defensive half. 2' Attempt saved. Ivelin Popov (Bulgaria) right footed shot from outside the box is saved in the top left corner. Assisted by Strahil Popov. 1' Herolind Shala (Kosovo) wins a free kick in the defensive half. 1' Foul by Kristiyan Malinov (Bulgaria).